Twin Spin slots game is a five-reel video slot that gives you 243 ways to win. Check out some Twin Spin slots review articles and they will say the same thing – to play Twin Spin slots is to experience a unique and exciting game. There is no wonder why it is a desirable game for most online casino enthusiasts. Other than the bonuses and outstanding animations it has in store for you, the game embraces straightforward characteristics that make it easy for beginners and long-time players to understand. Play Twin Spin slots online now and experience the best about slot gaming. Understanding how to play twin Spin slots takes no more than a few steps. First, look for a gaming site that hosts Twin Spin slots. 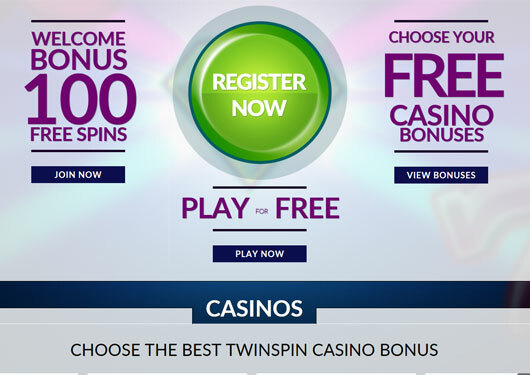 Next, sign up with your chosen Twin Spin slots casino. Typically, most online casinos today allow you to complete the registration process in just a few minutes. All you have to do is provide the required information, which usually includes a unique username and password, country, and contact information. 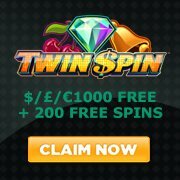 If there are Twin Spin slots free spins or Twin Spin slots no deposit bonuses, claim them. Upon completing the registration steps and depositing wagering funds, you are now welcome to play Twin Spin slots. The game consists of 10 bet levels (25 coins per level) and varying coin values. There are no adjustable bet lines in attendance. “COINS” display shows you the amount of credits you placed as bet. “MAX BET” button starts a round with the highest bet level possible and the current coin value. The “AUTOPLAY” button allows you to automatically begin the game for a predetermined number of rounds. Winning combinations and payouts follow the provided pay table. Alternatively, clicking on any symbol on the reels during the main game exhibits a smaller version of the pay table for the specific symbol. A symbol win in coins is equal to the value shown on the pay table multiplied by the bet level and a number of times that symbol appears on each reel. Matching symbols in any position on three or more adjacent reels, starting from the leftmost reel to the right produces a winning combination. Only the longest matching combination per symbol receives winnings. More wins top up your balance when additional instances of the same symbol appear on the same reels that create the longest way to win. For the total symbol to win, multiply the number of matching symbols appearing on one reel by the number of matching symbols on each other reel in the longest winning combination. Multiply the result of the coin win amount for the longest winning symbol combination according to the pay table. The total win for the spin is the sum of symbol wins for each symbol type. Now that you know how the game works, start your Twin Spin slots gaming adventure. No Twin Spin slots download is necessary. Just use your online browser. Look for the best Twin Spin slots casino and start aiming for the big jackpot as you play Twin Spin slots.